First attempt at narrowband imaging of the Sun. The scope is fitted with a narrow band filter which only allows light from Calcium K emission (singly ionised Calcium) in the Sun to come through (@ 393nm). This band highlights activity in the Sun’s chromosphere up to 2000km above the Sun’s “surface” ie above the photosphere that is viewed in white light. Large sunspots can be seen as well as plages. These bright areas (named after white French beaches) are thought to reflect magnetic field activity above sunspots and sometimes appear much more extensive than the sunspots themselves. Lunt LS60T CaK B1200 scope with DMK 41AU monochrome CCD camera mounted on Ioptron ZEQ25GT. 1700UT. AR 2121 produced a C2 flare on the 24th July 2014. 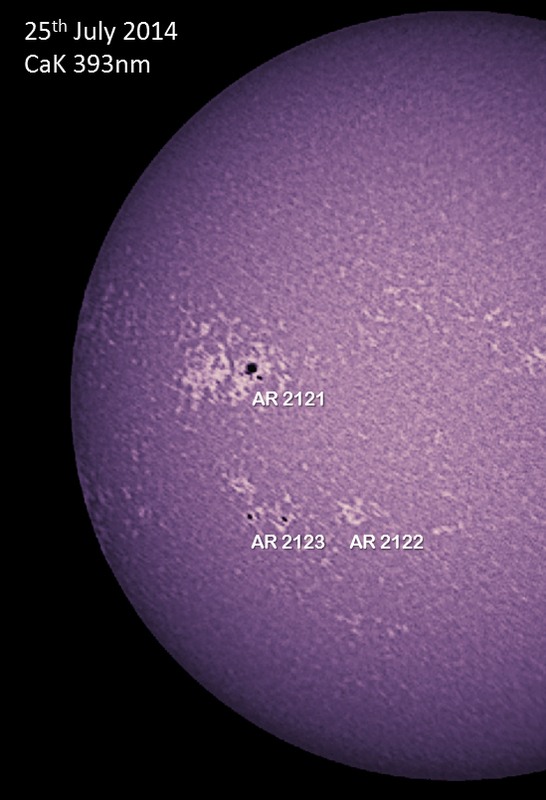 AR 2121 produced a C2 flare on the 25th July 2014. 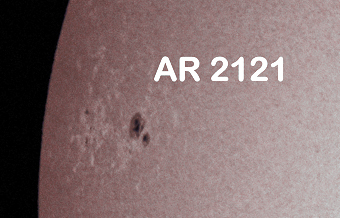 AR2123 produced a C1 flare on the 26th July 2014. To mark the 45th anniversary. The reflector near the LEM base can be used to measure the Earth/Moon distance by laser – they did this in Big Bang Theory. Apollo 11 Moon Landing Site Spied By Orbiter | Video. So what does someone with an interest in astronomy do when its cloudy? I did the Open University Certificate of Higher Education in Astronomy and Planetary Science! 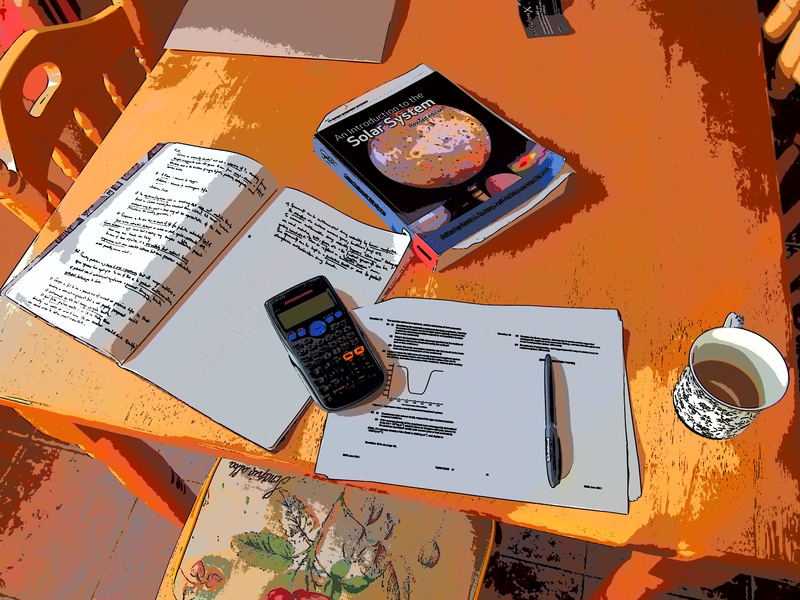 Its part of the “second year” of the OU Bachelor’s degree in Natural Sciences and comprises course work, a practical observing project and two final 3 hour exams with MCQs and structured questions. Overall, I found it gave my interest a sound scientific backing and, um, I really enjoyed doing the math. I can now navigate my way through a Hertzsprung Russell diagram and using the Drake Equation, can argue that the Universe should look like an overpopulated Star Trek episode, or… not (Thank you, Fermi paradox) . A nice start to the weekend: an active Sun and some fresh coffee. Nexstar 8SE with Canon 5D mark II. ISO 100 at 1/400 second. I have used a different duotoning palette, let me know if you like it. Active Region AR 2108 produced a C4 class solar flare (small, few likely consequences for Earth) on 12th July 2014. At that time, it was on the limb of the Sun and aimed well away from Earth. 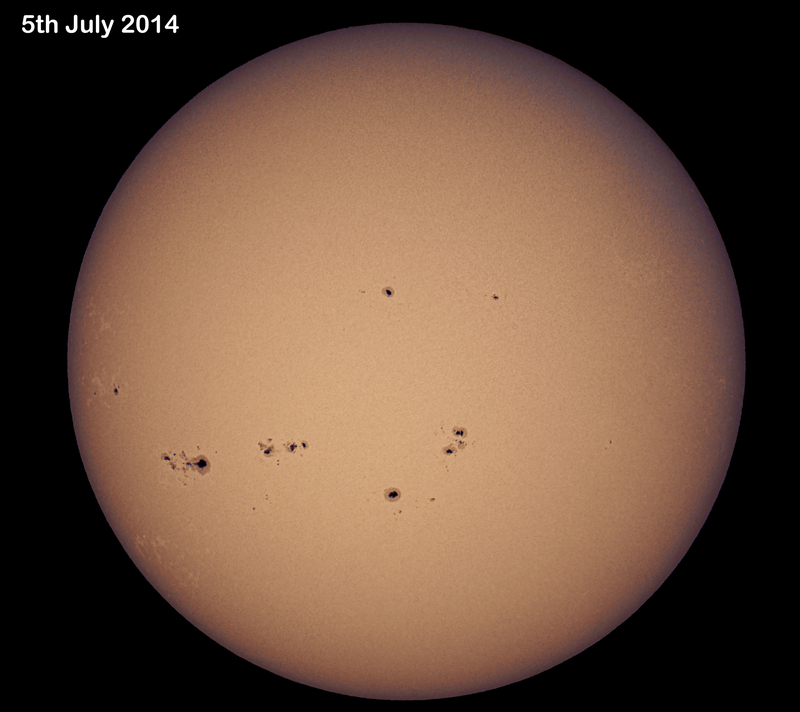 AR 2109 produced a C6 flare on 13th July 2014. 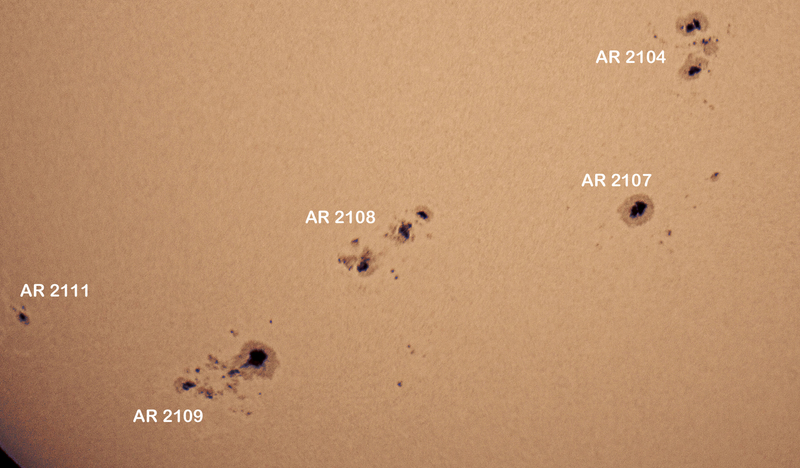 AR 2109 produced a C1 flare on 14th July 2014. 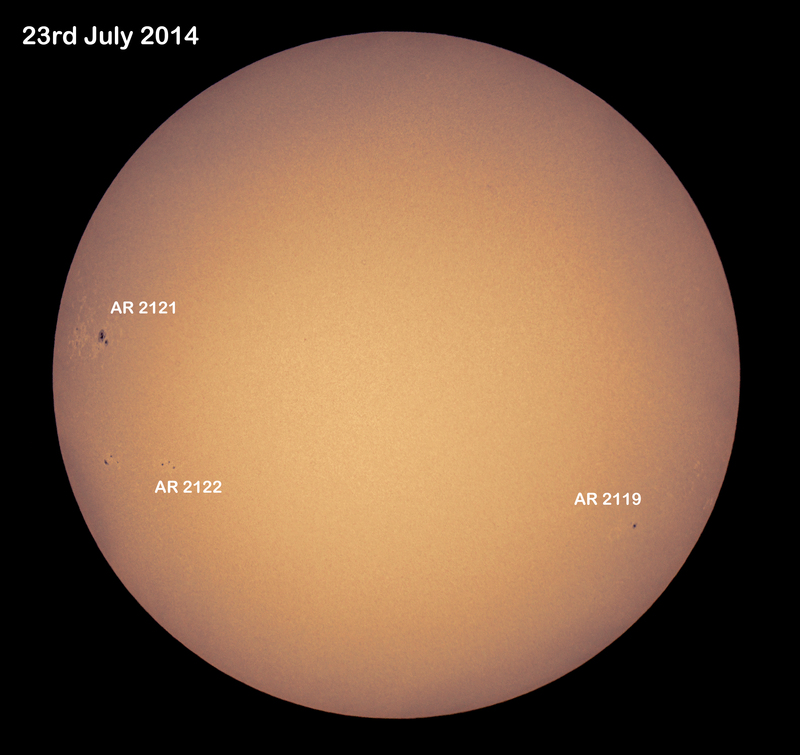 AR 2019 produced a C1 flare on 15th July 2014.